Here’s a picture that goes some way to acknowledging the sheer amount of rain we’ve witnessed falling over the last two months or so across the UK. 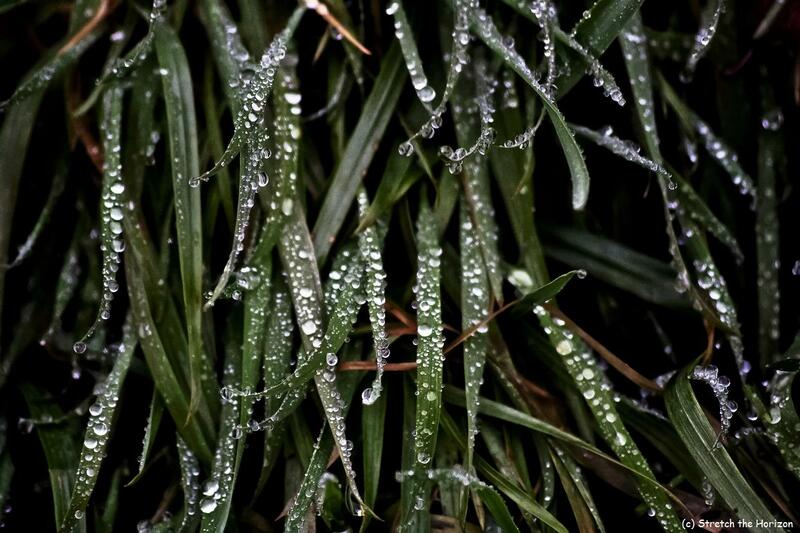 I think this close-up shot of rain droplets spattered onto blades of grass – looking much like iced jewels sparkling in the morning light – gives us all a nice perspective on what in reality is truly appalling weather for the time of year. So with no end of the ‘Manchester monsoon’ in sight, it looks like it’s on with the waterproofs and wellies for the foreseeable future: ah, there’s nothing like a good old British summer, is there? !